oomph. : sew unique. Sew Da Kine. sew unique. Sew Da Kine. i'm always on the lookout for things that are different and unique. so when i heard there were bags made of cork, i was intrigued...and a bit skeptical. i mean, cork is dry. cork is stiff. right? 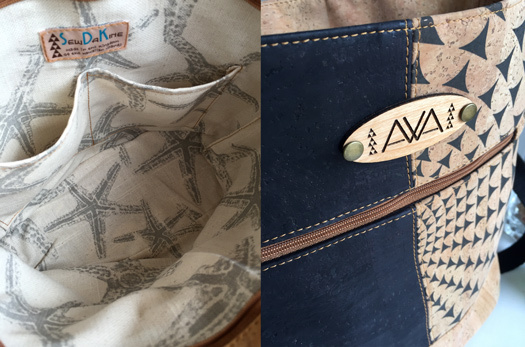 the first time i felt the cork bags from Sew Da Kine, i was surprised at how soft they were. like buttah...softer than some of the leather bags i own. even better, cork is sustainable, washable, antimicrobial, and hypoallergenic! still, i had to test this out. i carried this large pakeke bucket bag for three months straight, and it exceeded my expectations. now, i use my bags...really use my bags. i stuff them, toss them, and throw 'em on the ground! ok, not really. the cork remained soft and smooth, the bag still looks clean and brand new. 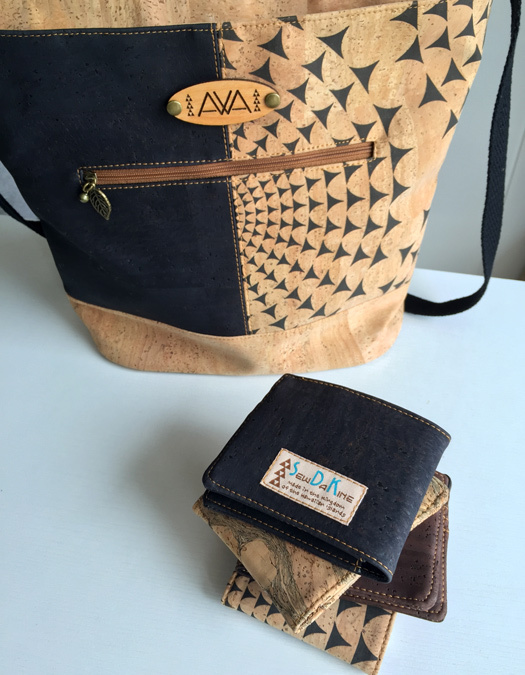 if you are looking for a unique gift from made here in hawaii, check out Sew Da Kine's selection of cork bags and wallets. check out the workmanship and details. love the starfish interior. Wow, that's so cool! I also thought cork had to be dry and rigid. This bag is pretty and I like the idea of using this material. That bag looks amazing! Never knew cork was washable and I sort of abuse my bags so it being able to stand up to my daily abuse sounds like something I need to get! Becks, that bag is so sharp! I love the design and it will compliment so many outfits. Thanks for introducing this Hawaiian brand. LOL Like buttah! Wow, you look just awesome. Your handbagis so beautiful. black friday sales roundup 2016.